Disable GNOME3′s Habbit Of Turning Off The Display After Some Time. you will be surprised that if offers you the possibility to change the time the system has to be idle for the monitor to be turned off from 1 minute to 1 hour. But what is missing is an option to turn this function off entirely. Fortunately, it is possible to do that, just not in System Settings and you can either do that from command line or with a GUI. Those are the keys that the System Settings GUI is changing when you use it. The first two determine when the display is turned off (on a desktop system that is always plugged in the first value is the important one. The second key is used in case the system is running on a battery, which is important for portable devices like notebooks and tablets). The third key is important, because it is used to determine when to start the screensaver and lock the screen, although there are additional values that target those two in org.gnome.desktop.session. The values of all three keys are in seconds (so a value of 600 stands for 600s = 10min). But because the System Settings GUI does change these three keys altogether and there is a connection between these three, it is probably a good idea for most people to change all three to the same value by hand as well. You can use the gsettings command to change the values of the keys. First, let’s see what the values of these keys are. You can do that by running the following three commands. Each command will print the value of the given key. You will notice (most likely) that all three values are equal and that they reflect the value that is displayed in System Settings. If you change the value in System Settings, you will notice that these three keys do change accordingly. Change both numbers to 0 to prevent the system from turning off the display. 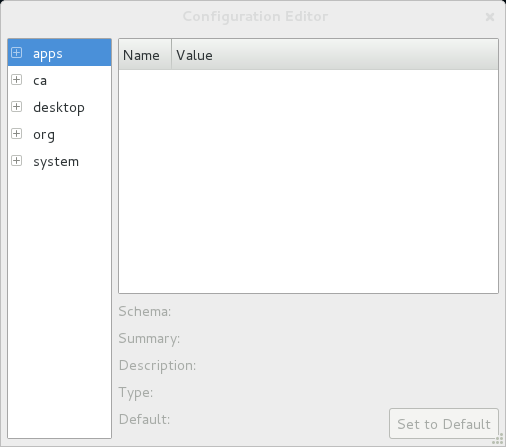 After that you should navigate to “org.gnome.desktop.session” on the left side and change the key “idle-delay” (on the right side) to 0 as well. After that, just quit the editor (the changes are automatically saved). Thank you. I corrected it. Thanks for your feedback. I am currently running 3.4.2 and have not had a problem since I changed those values. 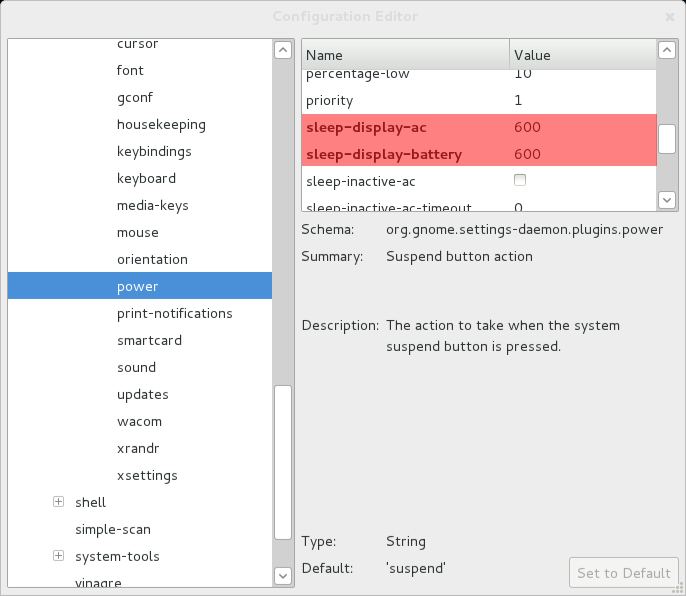 Have you checked with the dconf editor if there are other similar values in “org.gnome.settings-daemon.plugins.power” (anything else that starts with “sleep-display”)? Same here, I run gnome 3.4.2 and my display turns black after a certain amount of time (does not turn off however).